According to Microsoft’s Windows 8 blog, Aero is dead in Win8. This is being touted by many of the geek press as a long-overdue reduction in skeuomorphism, and a move to a “purely digital” view of the computer environment, rather than viewing everything on the computer as a metaphor for a real-world object. Of course, the original Windows wasn’t very analog, but it did pepper physical objects around as icons (a floppy disk, painter’s pallet, etc.). A number of commentators make it sound as though Microsoft is doing something radically new and different, with flat colors and sharp corners. They seem to have forgotten every other operating environment ever. 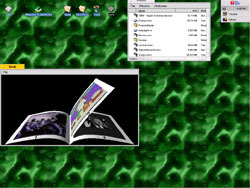 For a quick look at some examples, here’s a post I wrote comparing BeOS and Mandrake Linux to Windows 98 (yes, that long ago). 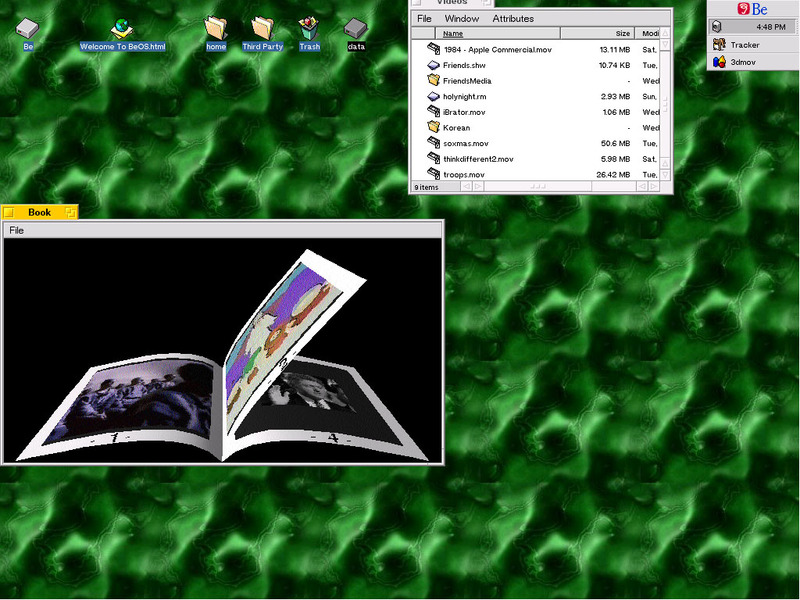 Notice the BeOS windows? They look nothing like a real-world object, and they use bright primary colors and minimal shading. Huh. Imagine that. I’m not trying to say that moving away from shiny translucency is a bad thing. All that extra compositing the graphics engine has to do just wastes cycles, and who really needs fuzzy drop shadows anyway? I think Microsoft is trying to squeeze as much battery life out of portables as possible, and making the graphics card less stressed is a good way to do that. I can’t help but wonder when the Apple i-world is going to start reducing skeuomorphs. I understand the address book is particularly hideous. This entry was posted in Geek on 2012.05.22 by Gary.